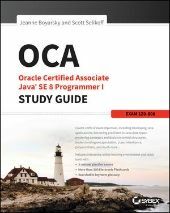 i have passed my OCJP(1z0-851) exam day before yesterday with 73%.Does this score create an edge between me and other students when i go for interview?? Or should i retake or another suggestions..
Congrats. Passing is passing. You can't take the same exam if you have already passed it. The score isn't important. What's important during interview is able to answer their questions. They don't really care if you know it because of your cert or through experience. Keep programming and learning new technologies. The score you got doesn't mean anything, as long as you cleared the exam you are the same as any other professionals who exceeded 73%. My advice to you is don't stop here, take one of Java Enterprise edition 6 expert exams. Oracle certified expert, web component developer for an example. yojana kamabathula wrote: i have passed my OCJP(1z0-851) exam day before yesterday with 73%. Only two less than me, and I'd been programming for over 30 years when I took mine. Some people just make better "human compilers" than others - and that's all the exam really tests - it has very little to do with how good a programer you are (or will be). Does this score create an edge between me and other students when i go for interview?? Only if you let it. None of the logos or cards they give you publish your score. Also: I'm presuming you passed first time. I know a few students who got better scores than us, but only on their 2nd or 3rd attempt. Thank you K. Tsang and Mphatheleni Ernest Matidze.. Yes i am plan to do next level certifications too. And may i know how much time will it take to get certificate. I passed Ocjp 6 on June 18 and I am preparing for OCE JEE 6 WCD exam, most of the people who passed the exam with great scores are saying they nailed it in 3 month some 2 and half month. Preparation time is determined by how serious you are with your studies and how much effort you put to it everyday. Yes this was my first attempt.. i will work more on this to get it.Though i had java in my academics this exam made me clearly understand many topics. yojana kamabathula wrote: Yes this was my first attempt.. i will work more on this to get it.Though i had java in my academics this exam made me clearly understand many topics. My advice: Don't worry too much about it. The SCJP (or OCJP) exam is all about the mechanics of the language. What you're going to need to become good is to learn how to use it; and that involves much more interesting stuff, like understanding patterns and learning how to think "objectively". If you're interested, I'd definitely recommend this book. It taught me more in a couple of months than I learned in a year of tutorials and OTJ stuff. do ocpjp6 contain swing,networking and gui application cocept??? milan chovatia wrote: do ocpjp6 contain swing,networking and gui application cocept??? No. Just core Java including Files and Threads. And with Java 7, JDBC is now included as core Java. Are you really stone sure??? milan chovatia wrote: Are you really stone sure??? Yes. Here is the official exam syllabus. And the SCJP 6 book by Kathy Sierra and Bert Bates doesn't cover those topics. If you are talking about this class, it is an intro to Java as a whole. it doesn't limit itself to the topics on the exam. The review class for the exam does not cover networking or Swing either. I have a question regarding OCJP hard copy certificate..Should we claim for hard copy..?? yojana kamabathula wrote: I have a question regarding OCJP hard copy certificate..Should we claim for hard copy..?? You should normally get an e-mail that gives you instructions. Alternatively, contact the centre where you took the exam. they should be able to give you instructions. I'm afraid it was still the early days of the Sun/Oracle handover when I took mine, so things may be different now. 1Z0-851 and scjp1.6 are same? ?